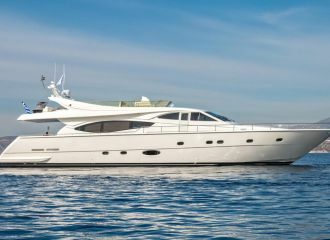 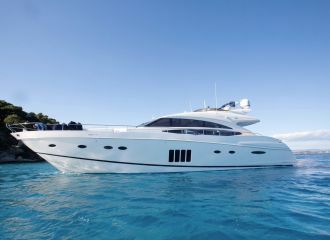 With a top speed of 38 knots, this sporty motor yacht is ideal for speed lovers and those who want to make the most of their yacht charter in Greece. 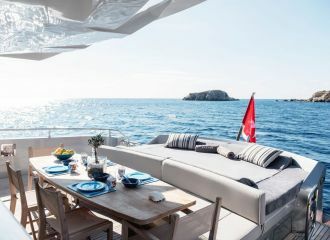 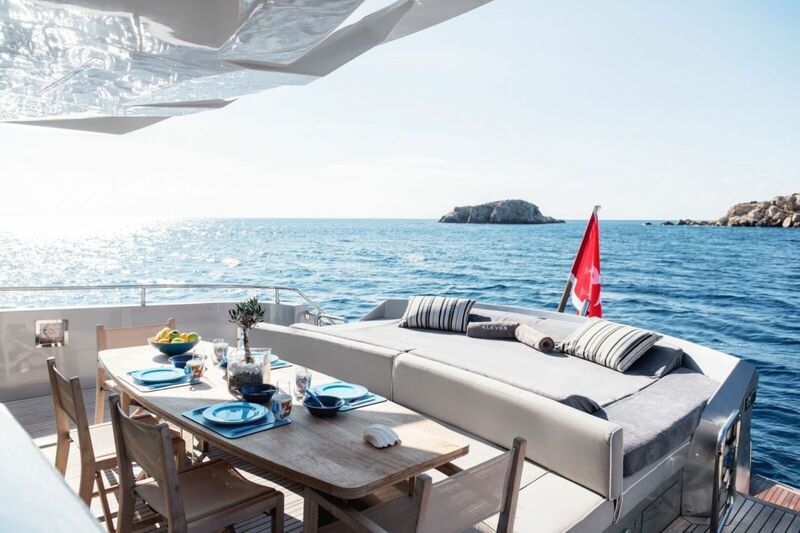 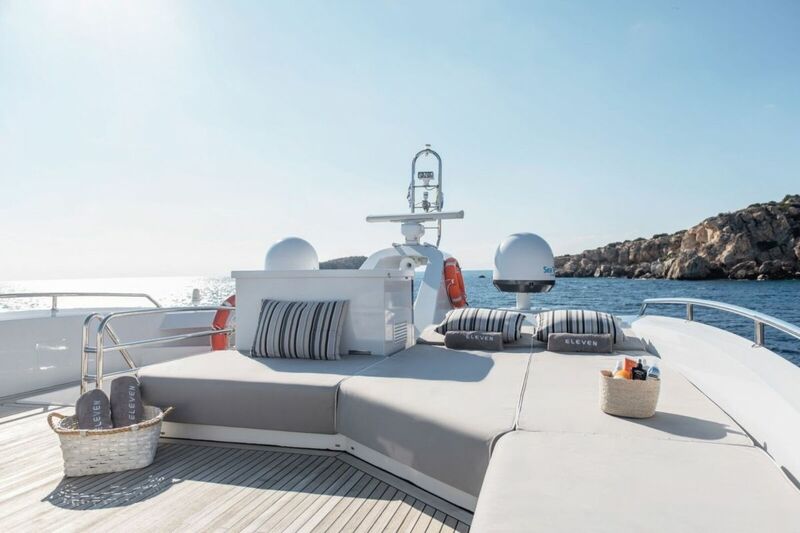 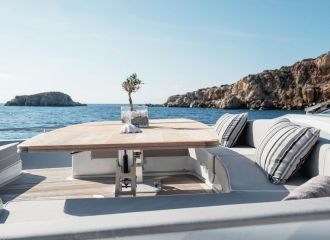 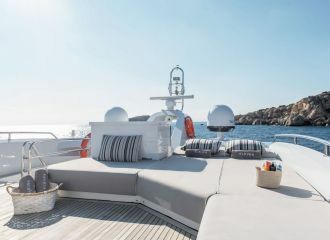 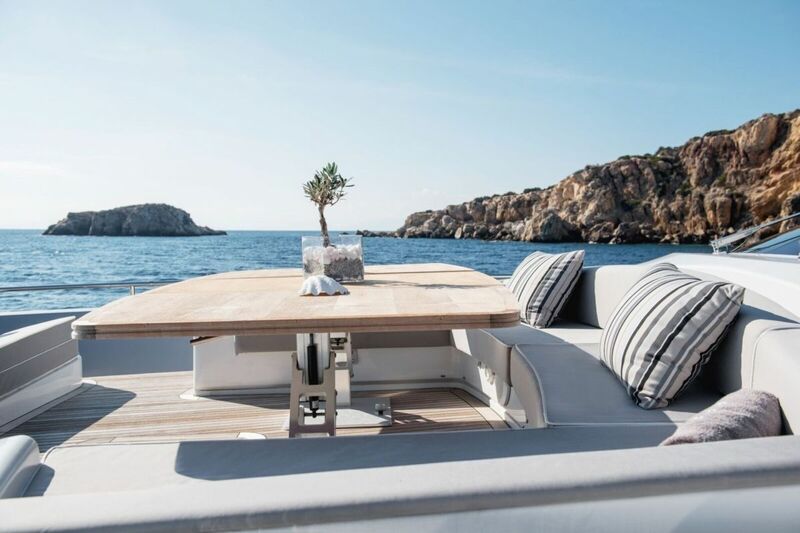 This Italcraft 90 SC yacht features large sunbathing areas on the aft deft as well as on the flybridge, ideal for relaxing while cruising around the Greek islands. 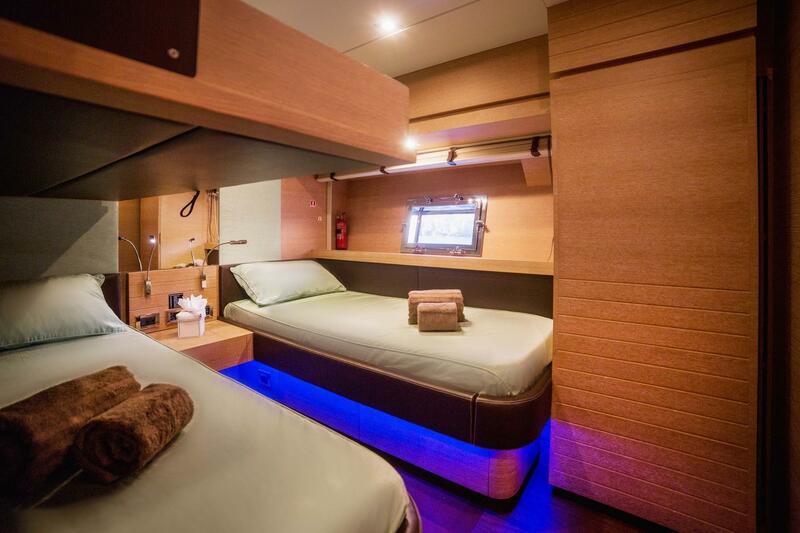 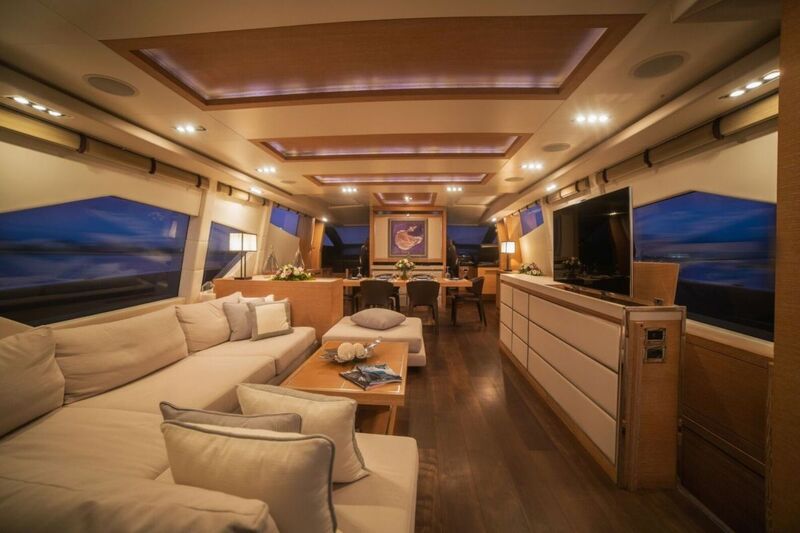 The interior of the yacht is very elegant with light colours. 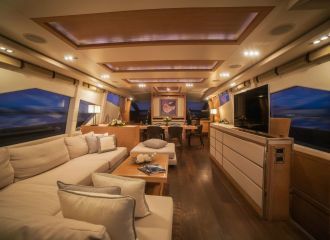 The saloon is particularly comfortable and boasts large windows. 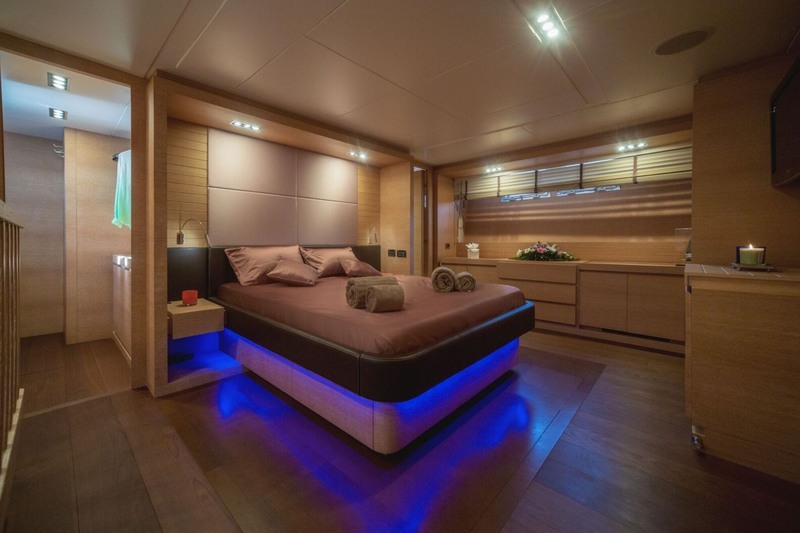 This Italcraft 90 SC yacht offers accommodation for up to 8 guests in 4 cabins: 2 double and 2 twin, al with en-suite facilities. 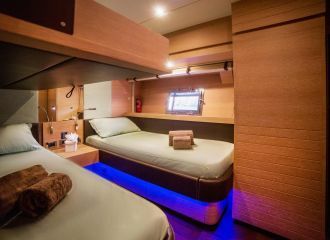 One of the twin has an additional Pullman for an extra guest. 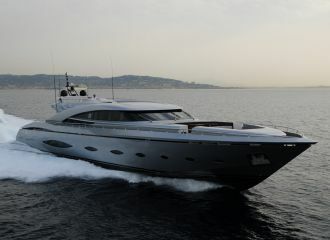 total 6666	€ Excluding VAT and APA ?